Love saving money and shopping at Aldi? See how you can make 21 meals under $100 for a family of 4! There are printable shopping lists and great meal ideas everyone will love. Most of you have already figured it out by now, but Aldi is one of my favorite places to shop. Not only can I save my family money, but I can also provide them with a balanced meal on a budget that has them begging for more. That’s good, right?!? Over the years I have tried meal plan after meal plan in hopes of finding a solution for my family that would make my life easier and still provide the nutrition that my family needs. Of course, all while also keeping my families budget in mind. The biggest problem I have run into has been that most of the meals are not something my family would eat. We don’t do gourmet, specialty type foods in this house, especially when you’re raising two growing teenagers that could easily eat us out of our house and home. The other problem I have found with some of the various meal plans that offer so many meals for X amount of dollars is that the meals are just doubled up which means you’re eating the same meal twice. I don’t know about you, but having the same meals twice in a 2 week period doesn’t work for me. We need variety and flavor in our life because the same meal week after week doesn’t offer that for us. Because I haven’t been able to find the easy and simple recipe meal plans for families like mine, I started creating my own and guess what…. You will get 21 meals under $100. All individual meal ideas for breakfast, lunch, and dinner. In the original Aldi Meal Plan, we featured breakfast, lunch, and dinner ideas that didn’t require a recipe since they were convenience foods that can easily be picked up and prepared for your family. While I believe these “prepared for you” meals are good to use every now and then since they make getting dinner on the table so easy, I felt we needed more with the second Aldi Meal Plan. That’s why I have put together these 23 recipes for you! YES, 23 full recipes are featured in the second Aldi Meal Plan. 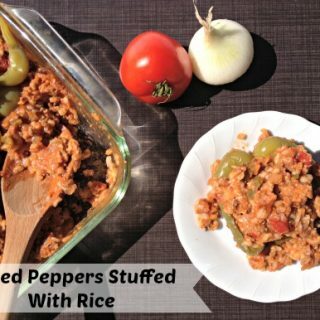 Each of the recipes are easy to make and take about 30 minutes to get a delicious meal on the table for you family. Some of them can even be batch cooked ahead of time so everything moves smoothly (when it comes to meal time) for you and your family. The breakfast ideas would be a great place to start with prepping meals ahead of time! To make this super easy, I’ve put the Aldi Meal Plan Printable together for you that includes recipes and a shopping list. You can it all for $4.99! 1) A shopping list to keep you organized on your next shopping trip. 2) Recipes so you know exactly how to use the ingredients. 3) All 21 meal ideas. 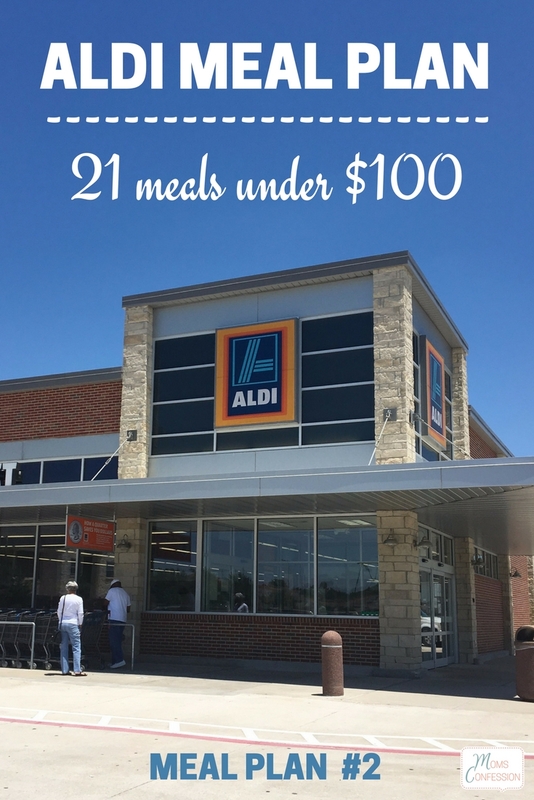 If you don’t have an Aldi in your area, this meal plan should be able to be duplicated at other stores with sales and price matching (if available). The price may vary but should be pretty close to the results others have received at Aldi stores. 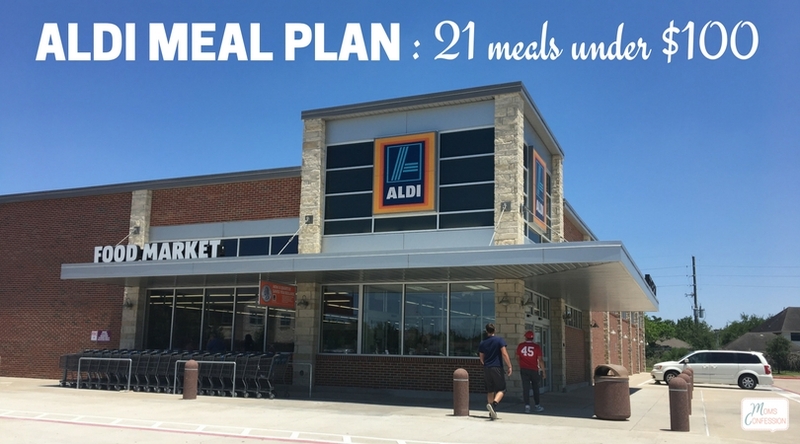 If you haven’t checked out my first Aldi Meal Plan, take a look here! 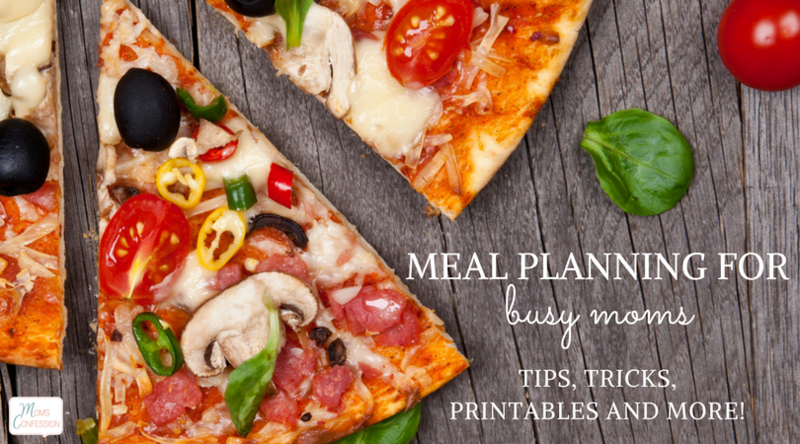 If you need help meal planning, check out Meal Planning for Busy Moms and become a meal plan pro in no time!